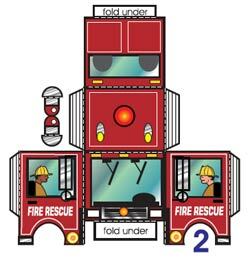 Download paper models, cut them and assemble for fun! The following sites will provide entertainment and engage participants in the daily life and times of early settlers in Canada. Role playing, matching, observation and association games are featured along with quizzes on Canadian history. Loyalist Adventure – The year is 1783 and you are forced to take a treacherous journey from New York to Upper Canada. Will you survive? This site focuses on Canada’s First Nation inhabitants and early settlers. In addition, pioneer life in Upper Canada is highlighted along with the daily life of settlers. Information and timelines on the War of 1812 in also provided. Interactive stories and activities depicting life and travel adventures with questions and answers concerning where pioneers came from, where they settled, who was already there, how did the pioneers use the land, how important was water and what it was like to live in a pioneer village. Do you have French books for kids. Thanks for your question, Estelle! We do indeed have French books for kids. If what you’re looking for is not available at your local branch, we can always put something on hold for you.